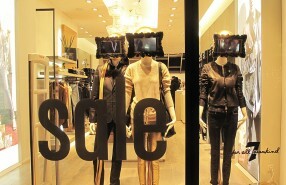 ARTE VETRINA PROJECT created the summer sale window displays at Aizone in the Middle East where the graphic traits in the store window. 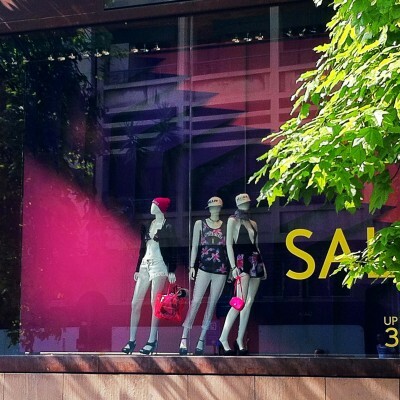 The gorgeous mannequins of the Marc Cain summer sale window display stand out with the neon green and yellow clothing and accessories. 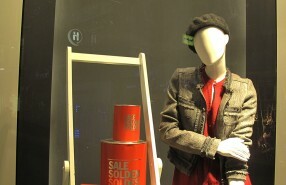 The mannequins are playing the Fall/Winter campaign videos directed by James Franco. 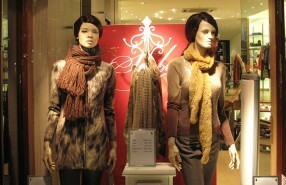 The mannequins of Caroline Biss SALE window display are looking comfortable and warm with the earmuffs. 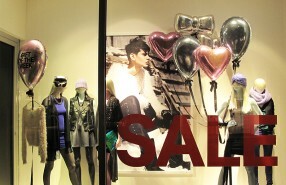 WE Fashion used red label paint buckets with the text: “SALE, SOLDEN, SOLDES” for their SALE window display. 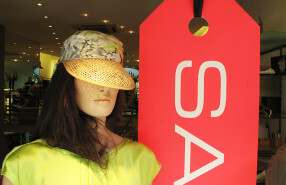 Claudia Sträter wishes everyone to “have a nice SALE”. 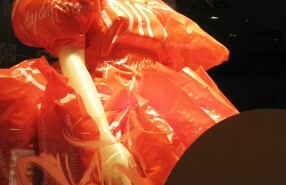 DIDI started to be creative with their red plastic bags by making a dress of it for the SALE Window Display. 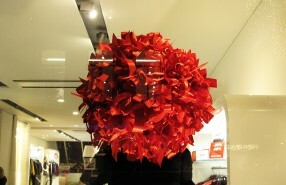 H&M added different shapes of balloons to their SALE Window Display. 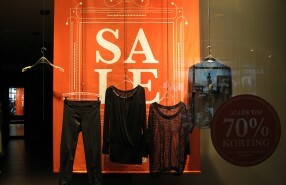 SUPERSTAR kept it simple with clothes hangers for their SALE window display. 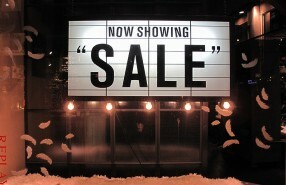 REPLAY “NOW SHOWING SALE” instead of Snowing Feathers of Angels. 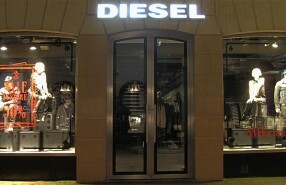 Are you feeling lucky at DIESEL SALE window display?